My name is Kristin Boren. I am the President of the Prague Ratter Club of America. My husband and I as well as our two children are true dog people. Mark and I both are Animal Science Graduates. We own both Pudelpointers as well as Prague Ratters. I am a past President and current Board of Directors member of the Pudelpointer Club of North America www.pcna.org as well. 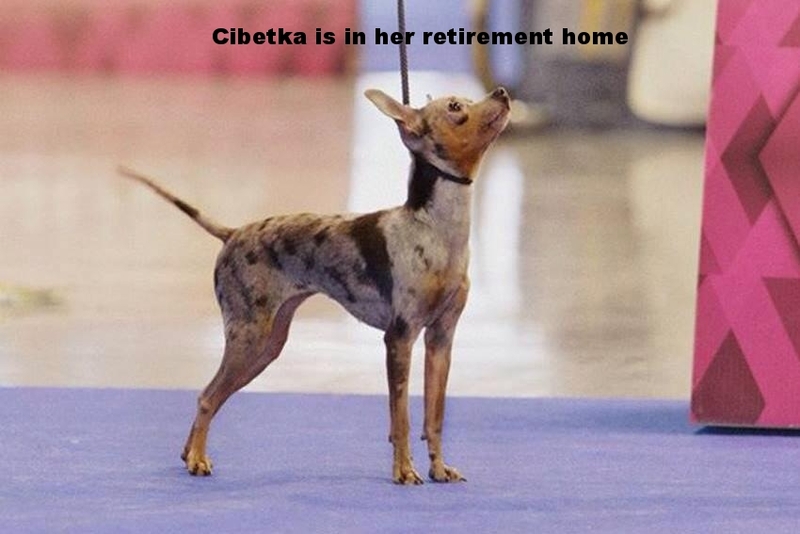 We have owned six females; Viva, Cibetka , Isabella, Tilly, Tecka Proper Puppy, Palomar's Cosette (a long haired black and tan merle - the most rare Prague Ratter in the world), and a tiny little female named Tiki. Tiki is a spayed female of ours. We also have imported a stud dog who is beautiful, Volt z Jeric. He is now retired and living in Arizonza. We miss him but he is living a great life. 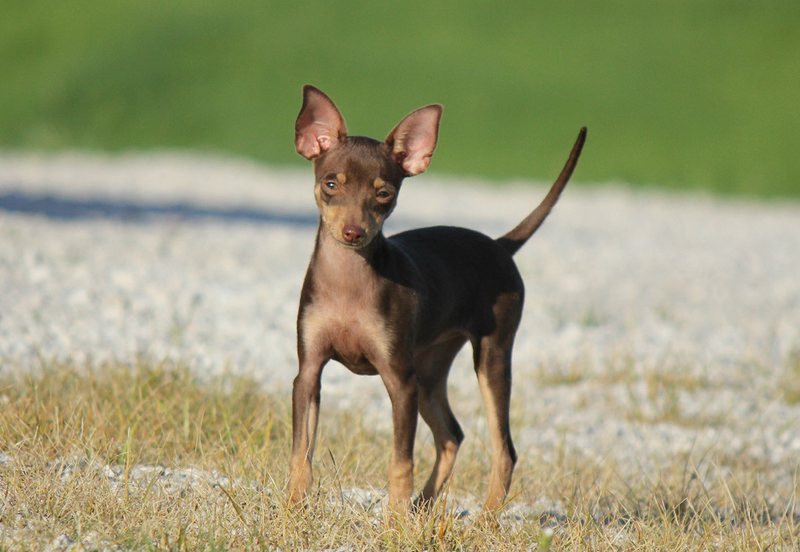 In September 2014 we added two beautiful merle short haired Prague Ratters, which are half sisters of Tecka Proper Puppy. We took a break from breeding and rehomed Viva and Cibetka to Carrimore Prague Ratters. They have produced fine pups. We enjoyed traveling to the Czech Republic twice to bring home several of our beautiful dogs. Volt has already proven himself as an outstanding stud dog and his pups are smart, absolutely beautiful, and so far are all natural retrievers and love playing ball. After a few years of a break (raising puppies is a lot of work), We have decided to breed our very rare girl, Palomar's Cosette. She is absolutely beautiful, extremely smart, a natural retriever, intuitive and loves problem solving. She loves to locate hidden items (her favorite game). She is a great running companion and very snuggly. Through very careful consideration, we have chosen an exceptional Male for her. Ornament Secure Power comes from one of the finest breeders in Czech. He is everything and more than we could have wanted. We are so very excited for his visit to our home and expect some very special pups. If you are interested in a pup from an upcoming litter, please contact us. They will go to approved homes only. We have a breeding PLANNED! After a much needed break and careful consideration, we have a very special breeding planned! Just reach out to us for more info. All of our Prague Ratters are raised in our home. We are meticulous about good health care as well as cleanliness. Socialization is of high priority. We handle our dogs often as do our children. We lead a balanced pack and all our dogs are followers of our good pack leadership. 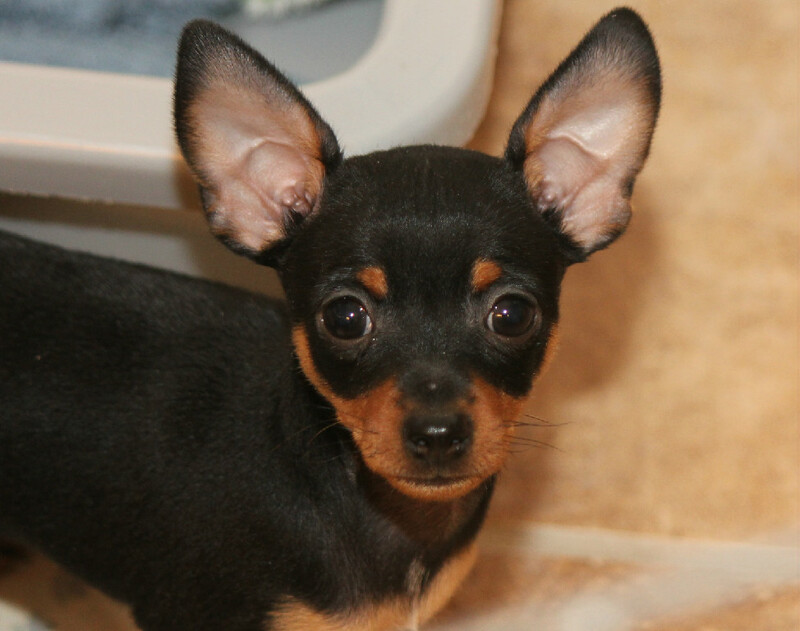 Puppies from Palomar Prague Ratters will have been shown good pack leadership and come to you as balanced individuals. It is up to you to continue being a good pack leader once you receive your puppy. Selling you a puppy is not where our relationship with you ends. It is a beginning. 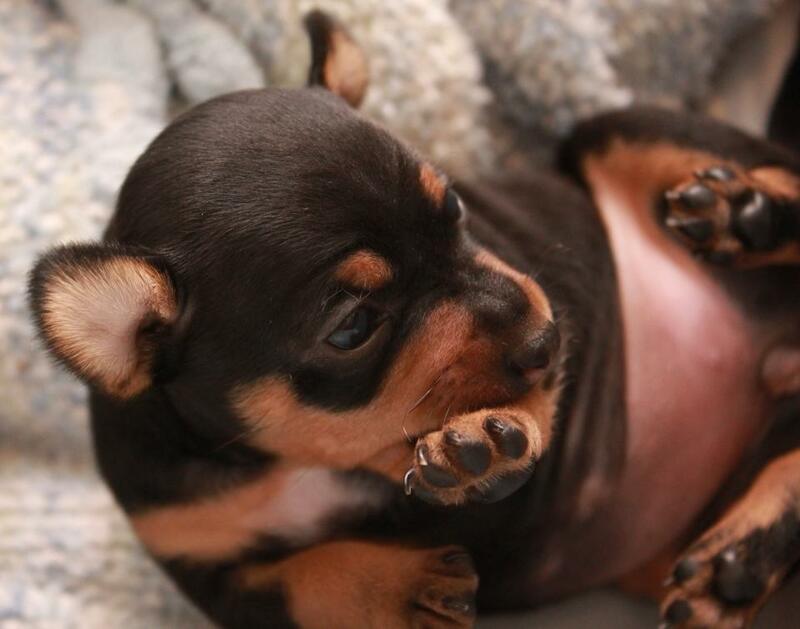 We like to keep in touch with our puppy buyers and are always here to coach you over the phone to develop your puppy into the perfect canine companion. So, please know that we are always only a phone call away. We do our best to match the right puppy with the right family. 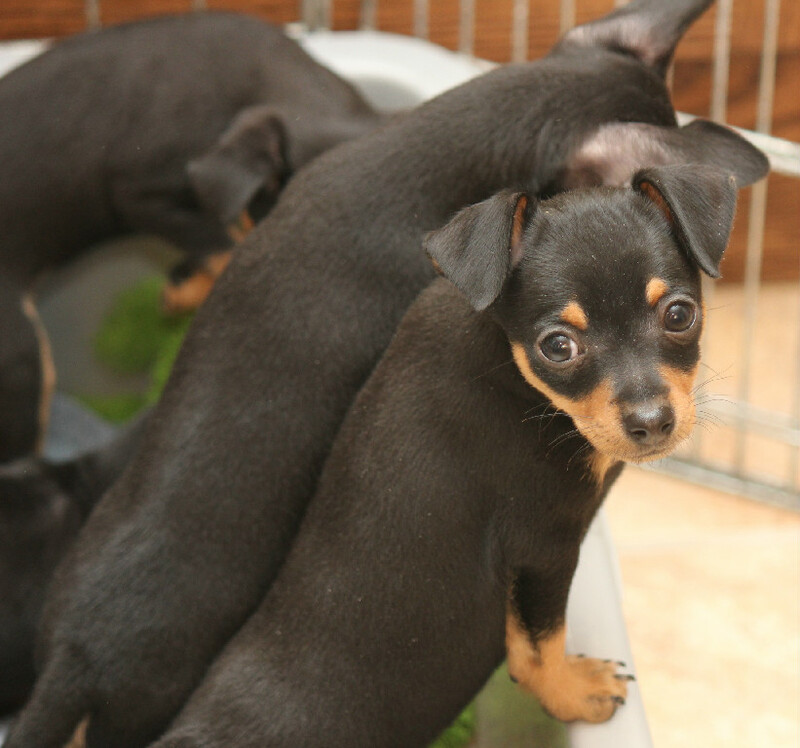 We don't maintain a "picking order" for our litters, but instead help guide you to getting the best puppy for you. All our puppies come started on their vaccines and wormings. They do not leave our home for this as we like to limit exposure to possible canine diseases that they might pick up at an animal hospital. We give the vaccines here at home. I have extensive experience with canine health care, and worked in various veterinary hospitals for 9 years. Mark is currently working in the animal pharmaceutical field. We do NOT dock tails on our Prague Ratters. Tail docking is not the norm in our breed. I believe that within several years tail docking will be illegal in Europe. We think the tails are very cute and see no management reason to cut the tail. Please don't hesitate to call us to learn more about Palomar Prague Ratters! 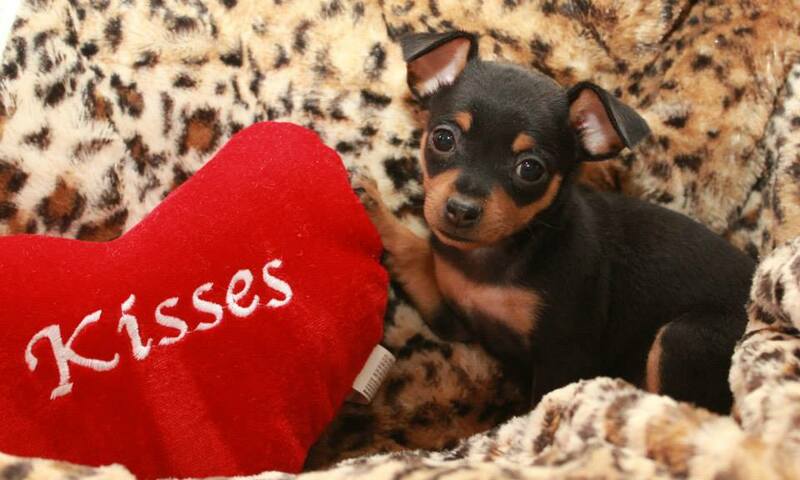 This is what our pups look like... they are fabulous! I begin potty training at 3 weeks so all pups understand how to use the pee pad when you get your puppy.